When is the best time to travel to Northeast India? 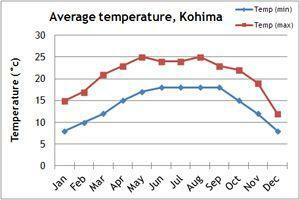 Our temperature and rainfall charts will give you a guide to the climate in Northeast India. 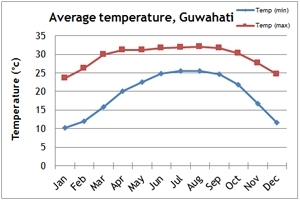 Northeast India experiences a temperate climate, with hot summers and cooler winters. 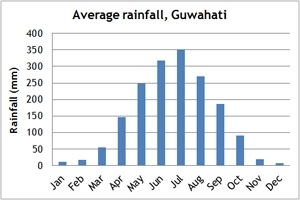 The best time to visit northeast India is between October and April. Some national parks, for example, Kaziranga National Park, do not open until November. 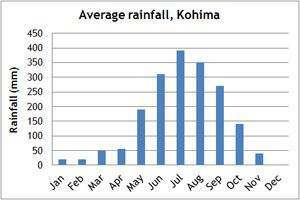 Travel is not advised for the summer months, as this is the time of the monsoon. The national parks are therefore closed during this period. If you can't make the dates of our group departures, then take a private departure on dates to suit you, or we can create a Tailor Made holiday to Northeast India, especially for you and your family or friends.